BIT Magazine : What is Open Source Lab Equipment? March 31, 2015 -- BIT Magazine One of the biggest obstacles to getting into biology, particularly genetics and synthetic biology, is the cost of equipment and expendables. A handful of large companies make the unique, precise equipment required for laboratories, and because supply and demand is small, the cost is very high. DIY lab equipment featured on Switzerland's GaudiLabs' webpage. Usually, this price barrier would make biology inaccessible to regular people, that was until personal manufacturing and open source hardware weighed in. 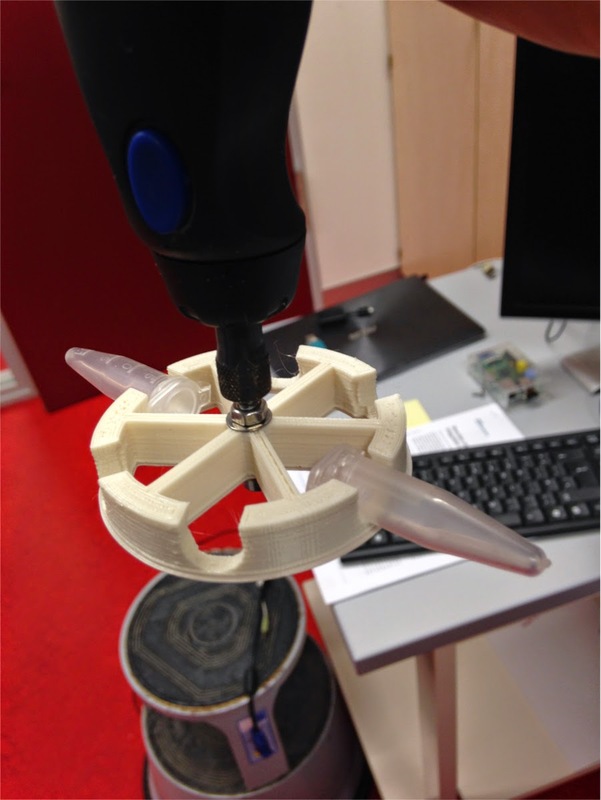 3D printing and open source microcontrollers in particular have made it easier for regular people on a budget to develop tools to do what only universities and corporate laboratories with massive budgets could do. Everything from micropipettes to PCR thermocyclers, centrifuges, and even automated lab robots have been reproduced by hackers and makers in an effort to open up biology for anyone and everyone interested, giving the do-it-yourself biology or DIYbio movement a foothold to take a fade and turn it into a paradigm shift. 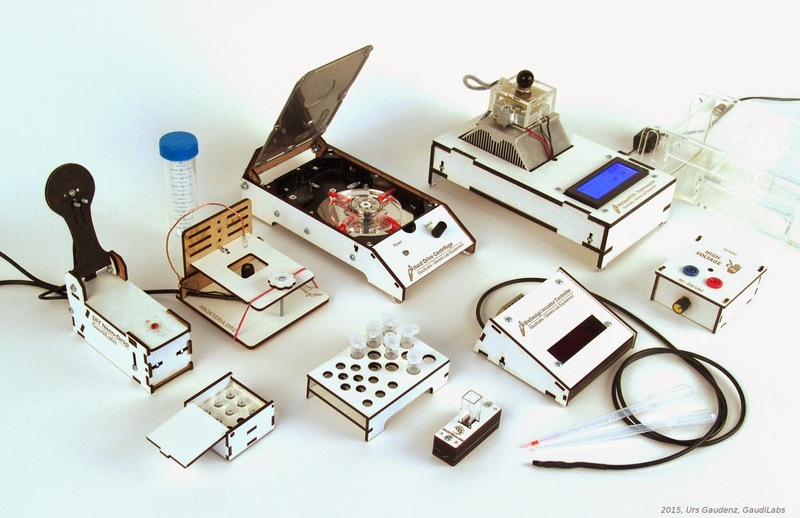 One collection in particular, put together by Swiss DIYbio lab, GaudiLabs, shows a full range of DIY lab systems that would otherwise require a huge investment far beyond the reach of ordinary hackers and makers. Not only does 3D printing and the open source paradigm help get labs up and running much faster and easier than before, one must consider the nature of scientific inquiry in the first place. Each problem is unique and the set of tools required to solve these problems have unique prerequisites. Customized tools and systems are traditionally expensive. One needs only look at NASA and the massive budget it requires to go where no one has gone before. One cannot exactly browse through a catalog and pick up a Martian rover chassis. Each part must be custom-designed, machined, tested, and assembled. While the scale of DIYbio projects are much smaller than those undertaken by NASA, they face similar problems. For a laboratory to create their own tools that were not only affordable, but precise enough to actually work, a revolution in manufacturing was required, a revolution 3D printing and open source hardware/software is a part of. Thingiverse is an online collection of freely accessible 3D designs for printing, created by MakerBot, one of the first consumer 3D printer manufactures on the market. Browsing through search results for "lab equipment" reveals a good representation of what people have been doing with 3D printing. 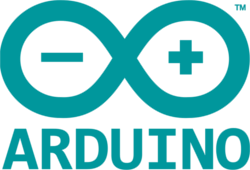 Additionally, many of the 3D models include open source microcontrollers like Arduino for controlling sensors or servos and stepper motors for motion control. There is the somewhat dangerous, use-at-your-own-risk DremelFuge. While the design leaves a lot left to desire, the basic concept of turning a variable speed rotary tool into a centrifuge is a great start. In fact, the DremelFuge concept led to many other open source versions with safety and accuracy taken into consideration. There is also an attempt at creating a laboratory-style pipette. Like the DremelFuge, projects like these are in the beginning stages of development. There are a few different pipette designs on Thingiverse, and each shows a growing community taking apart existing designs, first recreating them, and then improving upon them. The Open Source Orbital Shaker is designed for mammalian cell and tissue culture. To understand how such a system is used, it is part of the process involved in producing gene therapies currently used in clinical trials to cure leukemia, a story we covered previously. 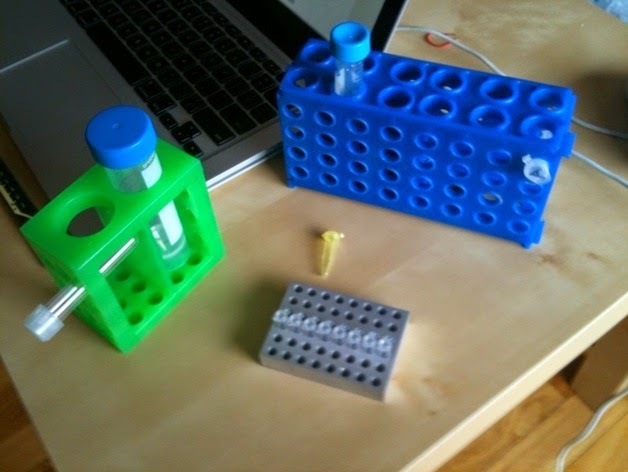 A proprietary system (left) used by researchers to produce gene therapies used in curing leukemia, and (right) an open source shaker that could serve as a first step toward developing more advanced systems like those in use already. The ability for people to download and print equipment similar to that used in gene therapy, is one of several preliminary steps required to democratize and strip down the costs of this life-saving procedure. And when one project goes up, it inspires others in the maker and DIYbio community to try their hand at it too. There are other shakers on Thingiverse with different features used for different procedures required in the lab. Then there are less assuming but nonetheless necessary items you can find and print. Holders for test tubes, for example, can be customized specifically to meet a lab's particular workflow and requirements, rather than taking what is available from retailers and making use of it as is. This allows color coding, custom labeling schemes, logos, and other features deemed necessary but missing from retail equipment to be included. Beyond replicating and customizing existing lab equipment, there are attempts to create larger, fully automated laboratory systems. Modular Science and OpenTrons are developing open source lab bots for carrying out highly repetitive tasks that would otherwise require people to spend time doing, preventing them from spending their time instead on examining the results of ongoing experiments and designing the next one. 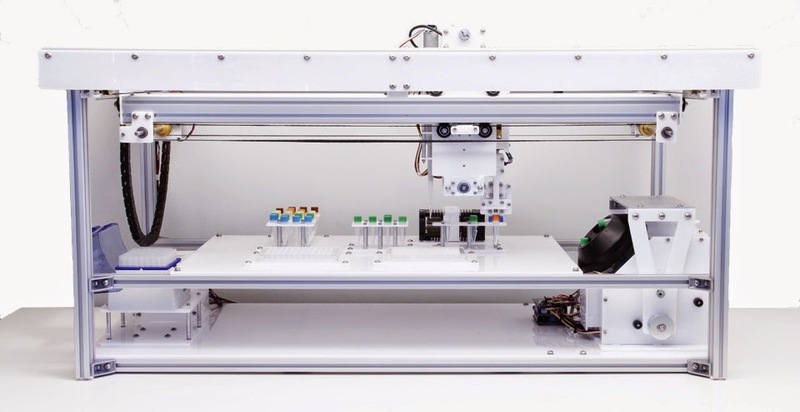 With laboratory equipment opened up and in the hands of makers, hackers, and a growing number of DIYbiologists with access to makerspaces, we can imagine a whole series of automated tools coming into the mainstream. Imagine a lab where all the equipment is automated and networked. A micropipette might still be held by a human, but automatically set. Centrifuges and PCR thermocyclers might also require a human to set them up, but again, be set automatically. Guiding them might be a centralized computer application that takes experiments set up ahead of time that precisely sets each piece of equipment, and uses laboratory-wide LED indicators to tell people working in the lab what step to take next, where, and even how. This takes the guess work out of sometimes complicated laboratory procedures, ensures accuracy, and serves as a double-check for people who may be tired and otherwise prone to error. Whether that is a vision you can subscribe to or not, the beauty of this emerging paradigm is that whatever does appeal to you may now be a possibility. If you can think up a solution for your laboratory, have access to a makerspace, and are interested in adding your idea to the growing open source DIYbio community, there is a good chance you can make it happen.